There are tons of posts I've found where people say they do it all the time by using another port for each PC. You can go to the registry of the destination PC and change the incoming RDP port I think there is also a way to do it in NAT Policies where you tell the incoming route to go to the new IP based on which Port it came in on.... where the first 3390 is the local port number and the second 3389 is the remote port number; you would then RDC to 127.0.0.1:3390 to connect. Note that the tunnel is tied to the ssh session - if you close that ssh session, the tunnel will also close and your connection to the remote desktop will drop. Make sure you use an unused port for the local side. NOTE: If you need to connect to several machines behind the same router, you should set up port forwarding for all these machines. Let's suppose machine 1 has an internal IP 192.168.1.41, machine 2 has an internal IP 192.168.1.42, and machine 3 has an internal IP 192.168.1.43. We can setup different external ports for different machines as shown in the picture below. 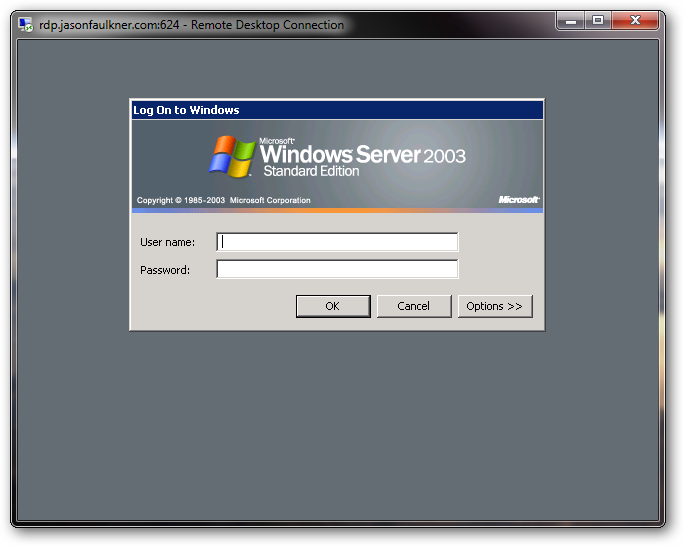 Windows servers are remotely accessible with Remote Desktop via the TCP 3389 port (default port). In some situations, as when you wish to obtain a more secure environment, changing the remote access port can be useful.